← #Manchester Council promises a “Manchester Standard” for parks. Doesn’t deliver. Where are the promised 1/4ly progress reports? #Manchester Council promises to switch 5% of taxi journeys… Then doesn’t collect the info!! Where are the promised 1/4ly progress reports? And what did they achieve? How do we know about the Council’s (non) performance ? Certainly NOT because the Council released the information in a timely and easy-to-digest manner. In July 2014, despite repeated lobbying, they refused to release a report on what they actually achieved of the “Annual Carbon Reduction Plan 2013-4”. It was left to a group of Manchester citizens to submit Freedom of Information Act requests just to obtain basic information about what the Council had (not) done. Well, that is still not happening. So who knows how far behind the Council is on its “three year rolling plan”. Who knows if they are, as above, just not doing anything? Not you, not me, and not the councillors who sit on the relevant scrutiny committees. That’s the state of democracy and transparency in this city in November 2014. 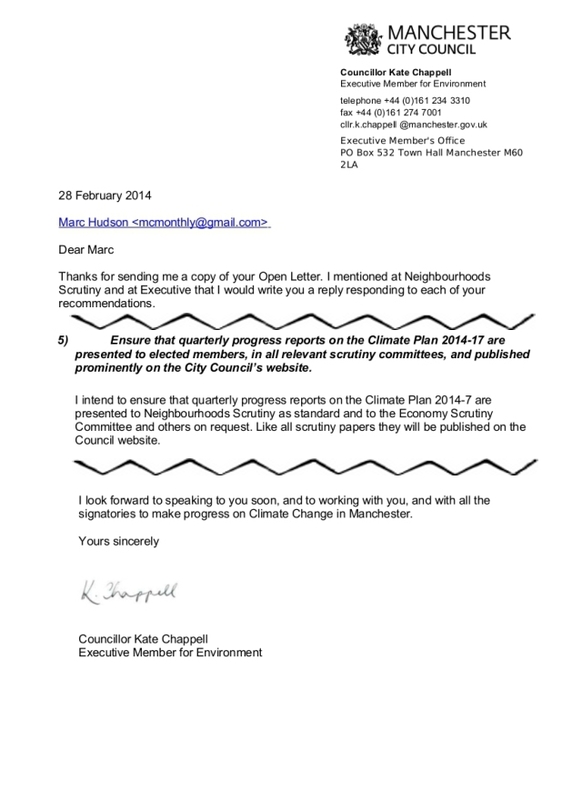 In February 2014 the Executive Member for the Environment made a public written commitment that quarterly progress reports on the Council’s Climate Reduction Plans would be brought to Neighbourhoods Scrutiny Committee and posted on the Council’s website. I’d like to know why not. Let us know what, if any, replies you get. MCFly will continue to post examples of the Council making empty promises. We have 14 more examples, just from the so-called “Annual Carbon Reduction Plan 2013-14”. This entry was posted in Democratic deficit, Manchester City Council. Bookmark the permalink.